This unique, informative and comprehensive software brings in narrative format the biographies of over 3,000 persons named in the Bible, sorted by alphabet, date and text location. It is the most complete and detailed reference tool on the subject. 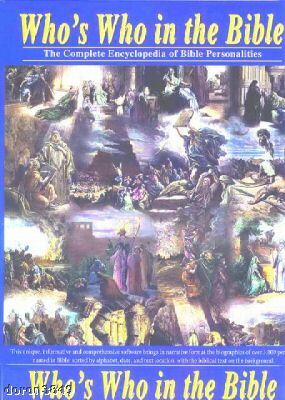 It tells the individual story of every person named in the Bible. They are all here, patriarchs and prophets, warriors and peace makers, kings and queens, holy men and sinners, heroes and villains. 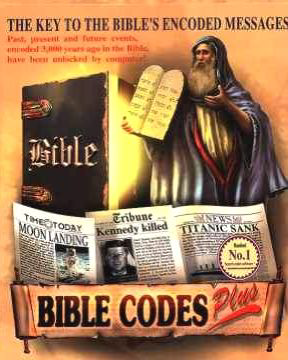 Each entry gathers together, in a coherent and continuous narration, all the references found in the Bible about any specific person, information that, in many cases, is scattered across great stretches of the biblical text. 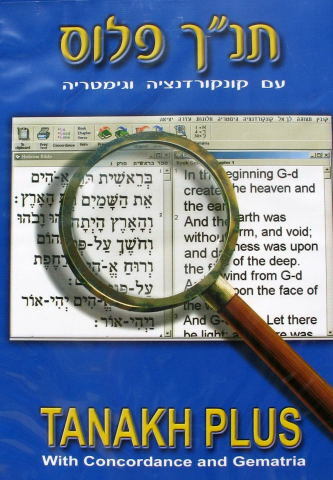 Who's Who in the Bible Original "Computronic" software is an indispensable reference tool for general readers of the Bible, scholars, students, teachers, religious institutions, colleges and seminaries. You can use it as to research the Bible, and to read and enjoy the fascinating stories of the men and women whose lives, teachings, and sayings have such a great influence and impact in our own lives. Complete text of the Bible Menu driven On-screen help Biographies of the over 3,000 personalities named in the Bible, with explanation of their names and century when they lived. Sorting of the biographies by alphabet, century, or location in the text where first mentioned Biographies can be printed out, copied and pasted in your own documents Advanced research features allows to retrieve all the mentions of a specific person from all the other biographies List of biblical names Concordance of the mention of every single name and word in the Bible, showing it in-context in the biblical text Chronology of biblical events Verse retrieval by keywords and other methods Instant go-to any chapter, book and verse Instant finding of any word or phrase User specified fonts and size of letters Printable summary of every biblical book. Package Deal! 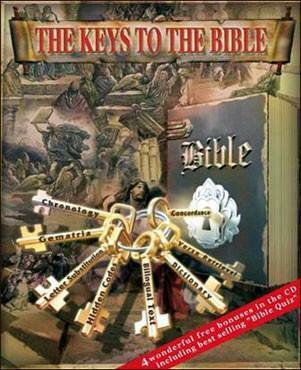 - "The Keys to the Bible" & "Who's Who in the Bible" SAVE $39.95! "I believe that this is the third (3) time that I have purchased from Computronic Corporation in Savyon, Israel. I always get Outstanidng service with regular updates as to the status of my order, from the time I order, up to the time I recieve my delivery. I wish that my country would handle business like Computronic Corporation in Savyon, Israel does! They are a good example why I continue to order from them, and I plan on ordering in the near future!" * Choose the software that you want to buy, and pay by Credit Card through , the best and most secure way to purchase online.